An email was recently sent to me - I think they were looking for help with their boat name, but it was hard to tell, as the message was short and sweet. 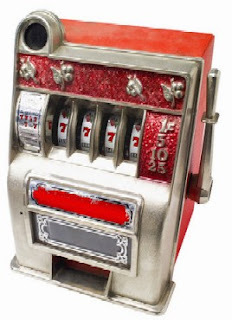 It read, "I Love to Gamble. I play the slot machines." With so little to go on, many other questions raced through my mind... does the boater like to fish, is it a speedboat, rowboat, sailboat, family, single man, woman, grandmother? Any suggestions out there for our friend?